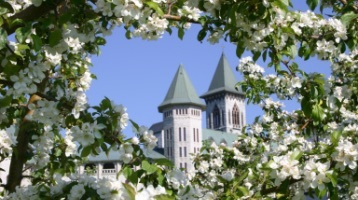 The Abbey is located in the Eastern Townships, on the west shore of Lake Memphrémagog. Our Benedictine community was founded in 1912 by French monks and is part of the reestablishment of monastic life inaugurated in 1833 by Dom Prosper Guéranger at Solesmes in France. 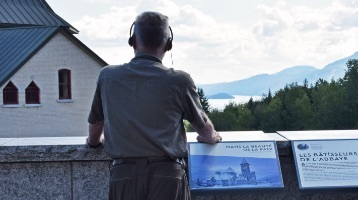 Located on a peninsula in Lake Memphrémagog, it was very small at first. Construction of the buildings began in 1938 and the monastery was officially made an Abbey in 1952. Its motto—In the beauty of peace—reflects the beauty of its site and its main purpose: be a place of peace and prayer. 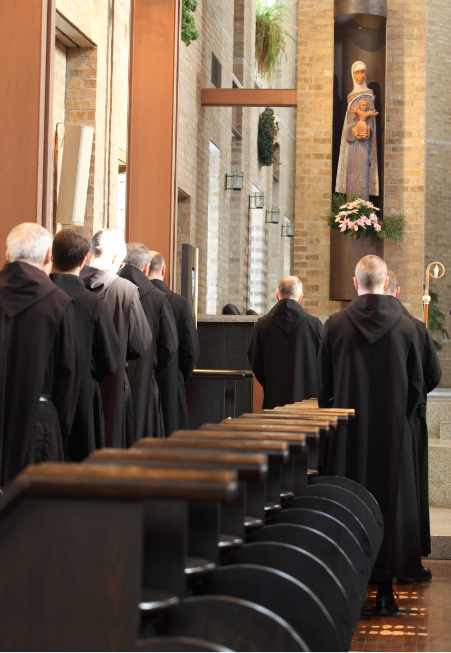 Our community is now composed of 30 monks who seek God in prayer, lectio divina*, work and fraternal life. They find in the Rule of St. Benedict a guide for following Christ. We earn our living with a cheese factory, two orchards, a cider mill and a shop where all our products are sold. The doors of our church and guesthouse are open to anyone wishing to share our prayer and take time to find inner peace. LECTIO DIVINAMeditation and prayerful reading of Holy Scripture or a spiritual text. 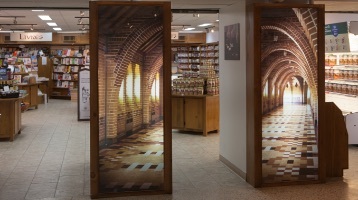 Visitors can find a large selection of products crafted by our community (cheeses, fruit compotes and spreads, ciders), books, CDs and religious objects in our shop..